Mark Swenson has been recognized for his contributions, including with an Evans Scholars Career Achievement Award. 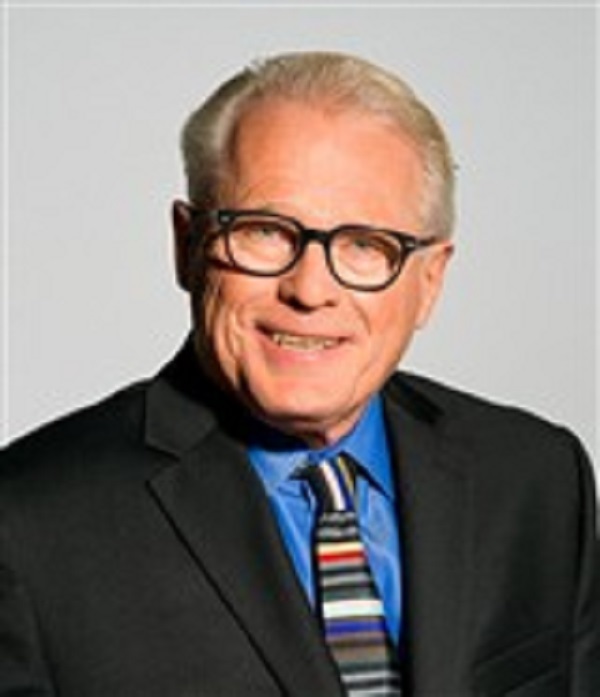 EDINA, MN, September 18, 2018 — Marquis Who's Who, the world's premier publisher of biographical profiles, is proud to present Mark Swenson with the Albert Nelson Marquis Lifetime Achievement Award. An accomplished listee, Mr. Swenson celebrates many years of experience in his professional network, and has been noted for achievements, leadership qualities, and the credentials and successes he has accrued in his field. As in all Marquis Who's Who biographical volumes, individuals profiled are selected on the basis of current reference value. Factors such as position, noteworthy accomplishments, visibility, and prominence in a field are all taken into account during the selection process. With more than 45 years of professional experience, Mr. Swenson has been the founding principal and on the board of directors of Elness Swenson Graham Architects, Inc., since 1996, having previously been president from 1996 to 2017. Prior to obtaining these roles, he was the principal and president of BRW Architects, Inc., from 1978 to 1996 and a project planner with Ellerbe, Inc., from 1972 to 1978. In addition to his primary roles, Mr. Swenson was a lecturer with the University of Minnesota, where he also currently serves on the advisory board of the College of Design. Mr. Swenson began his career as a student at the University of Minnesota, obtaining a Bachelor of Environmental Design in 1971 and a Master of Architecture in 1973. He has been a registered architect in the states of Minnesota, Colorado, Arizona, Ohio, Florida, Illinois, Iowa, Louisiana, Nevada, Texas, New Jersey, Georgia, South Dakota, Wisconsin, Kansas, Virginia, Nebraska, Michigan and Alabama. Mr. Swenson is a fellow and former president of the Minneapolis and Minnesota chapters of the American Institute of Architects. He also served on the AIA National Board of Directors representing four states. He also served on the Minnehaha Academy Board of Education. Throughout his career, Mr. Swenson has been recognized for his contributions, including with an Evans Scholars Career Achievement Award. The American Institute of Architects gave his firm the Minnesota Firm Award, the Minnehaha Academy gave him a Distinguished Alumni Award, and the Western Golf Association gave him an Evans Scholarship. Mr. Swenson has been featured in numerous honors publications, including multiple editions of Who's Who in Finance and Business, Who's Who in America, Who's Who in the Midwest, Who's Who in the World, Who's Who in Science and Engineering, and Who's Who of Emerging Leaders in America. In recognition of outstanding contributions to his profession and the Marquis Who's Who community, Mark Swenson has been featured on the Albert Nelson Marquis Lifetime Achievement website. Please visit www.ltachievers.com for more information about this honor.